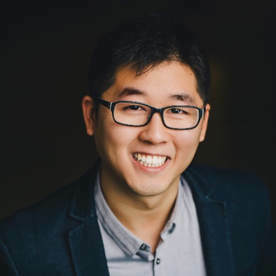 Ryan Lo is an urban planner, community engagement practitioner, and youth advocate. As Co-Founder of Urban Minds, he bridges the gap between youth and decision makers by developing youth engagement strategies with municipalities and community partners. His work includes organizing the annual 1UPToronto Conference and the 1UP Leaders Lab program, where high school students learn about city building and gain practical skills in civic leadership. Ryan has extensive experience in facilitating engagement events for placemaking and transportation projects across Canada and the US. Janice Cheung is an urban designer and planner, passionate about the design of cities and public spaces. Her work is shaped largely by her strong understanding of planning policy, social equity and economics as it relates to city building. Janice’s particular interests lie in the understanding of people-first design strategies that create macro level impact, while delivering experience at the micro individual level. As Project Manager at Urban Minds, she brings forward design-thinking and vibrant energy to meaningful youth engagement strategies. Outside of Urban Minds, she can be found either at the gym, training for her half-marathon, or rapidly scribbling designs in her notebook. Justin is a student at Marc Garneau C.I. Believing that art can unite people in a way that nothing else can, Justin has developed a passion for photography as a means for artistry. When he's not looking for the next perfect shot, Justin spends much of his time watching late-night comedy shows, playing Ultimate Frisbee, and spending time with friends. Davidsion is a student at A.B Lucas Secondary School in London, Ontario. By assisting Urban Minds and their 1UP Youth City Builders Program, he hopes to refine his interpersonal, digital design, planning, and photography skills. Davidsion enjoys travelling, the world of aviation, and designing virtual cities in his spare time. Mary is a student at St Robert Catholic High School. This year, in serving the 1UP Youth City Builders Program, she would like to improve her photography and Photoshop skills and learn more about videography. Mary loves to play the cello, travel, and imagine small ways of making the world a better place. Justina is an Innovation Designer at the International Rescue Committee where she can be found researching, prototyping, testing, designing, implementing, and managing new ideas to solve social issues in the world. Her work has brought her to New York, Honduras, Nicaragua, and Uganda, but mostly online for early morning Skype calls. Justina is also a dancer and performer in contemporary, ballet, hip hop, and urban styles. Karissa is a student at A.Y. Jackson Secondary School. She believes that when youth come together, great things happen and she loves being a part of that. Besides photography, reading, and the typical netflix, she loves meeting new people and making friends! Eric is a student at Marc Garneau Collegiate Institute. He hopes to capture moments of youth-driven innovation while learning about the ways we can positively impact and change our communities. Apart from photography, Eric enjoys creating art, going on runs, and travelling to new places. A citizen of Bhutan, Lhazin leads national projects that builds capacity and bridges the gap between civic engagement and systems change at Evergreen. She has lead the Civic Commons strategy, Future Cities Canada Roadshow, and 100In1Day Canada, and is currently leading Future City Builders and supporting Evergreen’s work on Labs. Lhazin has extensive experience as a facilitator and program designer, honed over time spent at Evergreen, Ashoka Canada, and Kawartha World Issues Centre. Lia has an interdisciplinary background that includes urban planning, education, and community organizing. She is a former chair of the Civic Tech Toronto steering committee, and helped to launch Code for Canada where she is currently Managing Director. Ryan’s work as an urban planner includes a diverse list of public realm improvement and community development projects – from parklets to plazas – in Vancouver, throughout Ontario, and in his hometown of Winnipeg. At 8 80 Cities, Ryan contributed to the Doable Neighbourhood Project, and now supports a variety of initiatives as part of our partnership with the Knight Foundation. He holds a Master’s in Urban Planning from the University of British Columbia. Catriona is a recent graduate of the professionally accredited Master of Planning degree in Urban Development at Ryerson University, Toronto. She is passionate about cities and creating equitable environments in which individuals are able to facilitate positive change in their lives. Her areas of interest include Indigenous housing policy, affordable housing, poverty alleviation, environmental sustainability, and creating vibrant communities in Canada and internationally. Dave Rose is involved in many youth engagement programs from film workshops, to humane education, to citizen engagement, to developing our next generation of entrepreneurs. Dave sees the boundless energy and creativity of all youth and is privileged to enable youth to be active citizens wherever they are. Dave is honoured to be a member of the Urban Minds Advisory Board.